The Brivis central heating system draws air out of the house through the return air duct where air is warmed. Warm air flows through small floor or ceiling outlets strategically located inside the house into every room you want to heat. The duct work is neatly connected to all outlets with a flue run to the outside air for discharge. If your house is made of concrete slab, Brivis ducted gas heating system should be installed in the ceiling. On the other hand, floor installation is recommended for house with minimal roofing line or with enough space under floor. 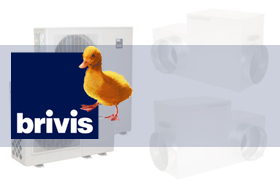 Brivis gas heating system can surely meet the heating requirements of your house. Brivis Central Heating System also comes with a full five year warranty and is sure to provide you with many years of satisfaction.